Gutters and downspouts are the types of equipment on a house that perform without much notice—until they stop working. Then it’s hard to ignore the cascades of water and flooding that can occur. When gutters and downspouts become clogged or fail, rainwater flowing down house walls to the foundation can cause a great deal of damage. At the very least, this water taxes paint and wriggles into cracks, contributing to the eventual decay of siding and the house’s structure. At the worst, moisture penetrates windows, invades walls, undermines foundations, and floods basements. This is why it’s important to maintain clear, well-functioning gutters and drainage systems. They must be able to handle rainwater removal without fail to prevent these occurrences. But to keep this important equipment working effectively, you must be vigilant. In other words, don’t wait for the next big rainstorm to find out the locations of all the clogs, sags, and leaks. That’s where this section of HomeTips comes in. It will show you how gutter systems work, explain the various types of gutters and downspouts available, and give you step-by-step advice for installing, repairing, and maintaining your gutters. There are several types of gutter systems. Which one you choose will depend on your budget and your aesthetic. Metal gutters—particularly aluminum—are by far the most popular, though wood gutters are available for homes whose architectural style calls for them. Sectional vinyl gutters are DIY friendly, though seamless gutters, which are literally manufactured onsite, are growing in popularity. 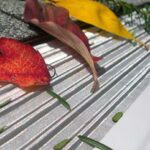 In addition to the Rain Gutters Buying Guide, we also offer buying guides for gutter guards and leaf catchers and fine-mesh gutter guards and screens. In How Gutters & Downspouts Work, we take you through the different gutter profiles and the various ways to hang gutters. A detailed illustration explains how gutters should be hung to function most efficiently and how downspouts should be placed to ensure water is directed safely away from the house. 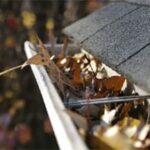 Over time, even the best gutter systems can begin to fail. The most common gutter problems are leaking at the seams and sagging; common downspout problems include failure to adequately divert water away from the house’s foundation and breaking away from the gutter outlet. How to take care of these problems—as well as tips on how you can prevent these problems from occurring in the first place—can be found in How to Repair Rain Gutters and Rain Gutter Cleaning & Maintenance. The cost of installing most gutter systems is so reasonable that it may not make sense for you to do it yourself, particularly if your time is limited. In How to Install Rain Gutters, we walk you through the various types of installations (including sectional systems if you decide it is a project you want to take on), as well as how extruded gutters are professionally installed. Whether you do it yourself or have it done, we give you all the information you need to make sure the job is done correctly.